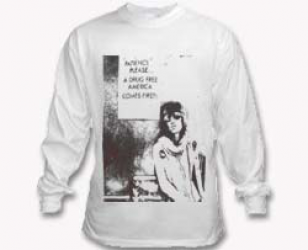 Long sleeve tee with large black and white print on entire front of tee in a boxed design. 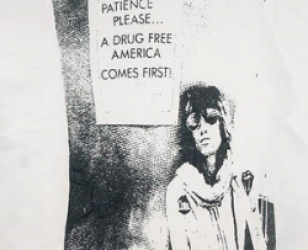 Calm seated side pose with a clear message on poster on corner'Patience please... a drug free America comes first! '.